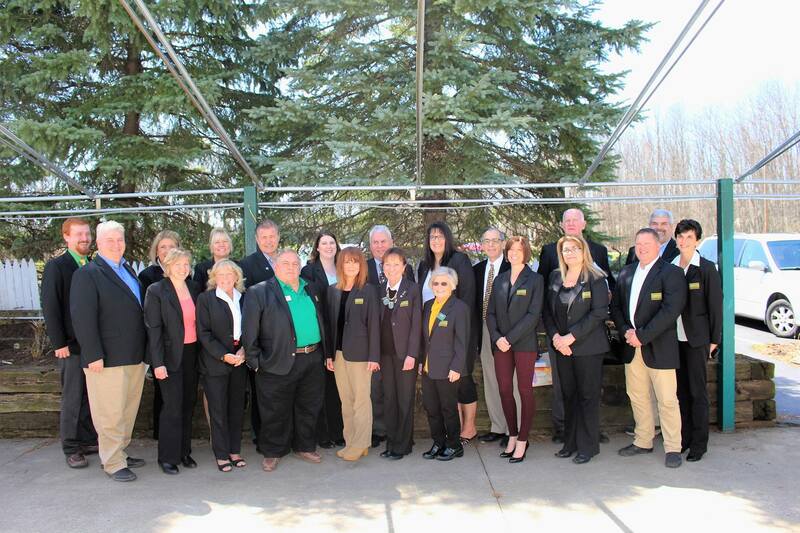 The Chautauqua County Board of REALTORS held its annual awards meeting at the Webb’s Captain’s Table in Mayville, NY. The members and guests in attendance had lunch and listened to speakers including John Jablonski III, Executive Director of the Chautauqua Watershed Conservancy, as well as a quick overview of Board Business before the main event, the presentation of Presidential Sales Awards. For the second year in a row, Howard Hanna Holt Real Estate was honored to have more award-winning agents than any other real estate brokerage. 16 of their agents received more than 1/3rd of the awards. Presidential Awards are given based on sales volume or total transactions. Recipients of the Bronze Presidential Award for a sales volume of over one million included: Lisa Barber, Doug Hooper, Jennifer Wohler, Tammy Schmitt, Tarrin Nocero, Greg Buckley and Lisa Nielsen. Bill Corsi was honored with a Silver Award for over two-million dollars. Half of the Gold award winners (3 million) were from Howard Hanna with Bill Carlson, Catherine Brooks and Sandy Haines earning honors. Matthew Wroda and Cynthia Rosenbloom earned the platinum award for exceeding 5 million dollars in sales volume. The Diamond Award is the highest level of Presidential Award with agents needing to reach a whopping 10 million dollars in sales or 60 transactions. Half of all winners were from Howard Hanna Holt, with Renee Pchelka, Ed Miller, and Anne LaPaglia taking home honors. Howard Hanna Holt Real Estate had two of the top three agents in the area in transaction sides. Renee Pchelka was second in the county with 85 points, while Anne LaPaglia was third with 76. Anne also was third in the board in total dollar volume with 9,368,257. “I continue to be amazed at what our top producing agents accomplish” said Broker/Owner Pete (George) Holt. “To sell over a property a week anywhere is impressive, to do it in a rural area like Chautauqua County is inspiring.